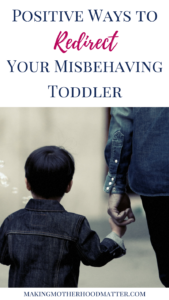 Inside: Find three positive ways to redirect your misbehaving toddler. At times, your toddler may have an idea about an activity that may seem fun to her but is actually dangerous or destructive. Two examples of this might be cutting the curtains or drawing on the walls of your home. Instead of scolding him, try to propose acceptable alternatives to him by proposing an equally fun and exciting activity like cutting papers or coloring a book instead. In this way, he can still be able to push through with the activity that he wants but in a less disastrous way. Another great way to redirect your child is to take his hand and physically move him away from the environment whenever he is tempted to misbehave. In the event that your child wants to touch something fragile, or is having difficulty using self-control, try taking him to a room that is child-friendly or showing him a toy he can play with instead. Getting him out of the environment which may trigger misbehavior will give him chance to gather his thoughts and rethink his actions. If your child is having a fun time in the bathroom or while watching TV but it is bedtime already, you can try distracting him with an activity that he will also like. For one, you could tell him that it is time for bedtime stories. Hearing this, there is a chance that he will give up bath or TV time easily. Plus, reading a bedtime story to him is also one good way to get him to go to bed. It is true that redirection and distraction are positive discipline strategies for children and toddlers. However, this method comes with a few disadvantages. For one, redirection will prevent the children from employing and practicing their problem-solving skills. 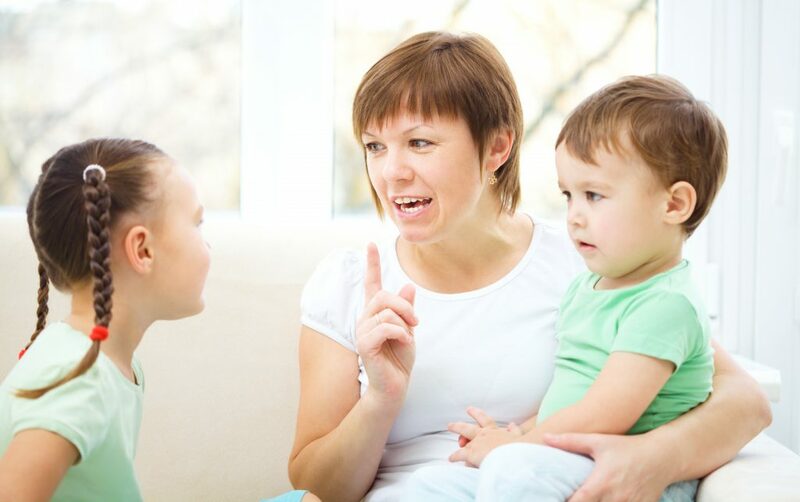 Second, redirection places the responsibility of solving the issue to the parents and not to the child. Because of this, it is important that you determine when redirection is best and there is a better alternative. This post was written by Sarah Grace Del Rosario. Sarah Grace Del Rosario is a mommy blogger and freelance event stylist at Del Rosario events. She also works as a community outreach specialist and blogger at Formuland.com, a company providing holle formula and other organic products for babies. When not busy working, you can see her showcasing her paintings and recipe failures at https://thethrifysenyorita.wordpress.com/. Great list! My little one is only 6 months but I was definitely taking notes- I know that day will be here before I know it. Thanks, Andrea! Yes, the time flies by so quickly. Thanks for stopping by.